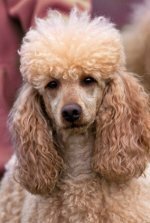 Have any cute pictures of poodles? We had a cutie pie black toy with some silver mixed in. Her name was Holiday Sunshine - Holly for short. There's nothing like a face full of curly locks to brighten your day! Holly was such a ham! She loved to sit or lay down and have her picture taken! She'd stare right at the camera and sit very still until her picture was taken! She definitely was not camera shy and loved to ham it up whenever she saw us get the camera. Is your poodle like that? They're so intelligent and like to have their pictures taken just like their owners do! Some actually look like they are smiling for the camera. Actually, they probably are since they are known to have a sense of humor. Do you love to look at poodle pictures? If so, you've definitely come to the right place! We have lots of cute photos submitted by dog lovers like you. If you have adorable pictures, share them with us and our readers! Your dog or pup will be seen online on our website! Tell your friends and your poodle's friends! Share your cutie with the world! It's easy to do and fun to create. Just follow the simple steps below. Tell us the name, age and a little about your poodle pie or a description of your photo. Then upload a photo, and you're done! You can also view other visitor's cute pic of dogs, funny poodle pictures, miniature pictures, puppies pics and toy pictures. You'll enjoy looking at other readers' funny dog pictures and pics and sharing your own photos with us. Take a look at all the adorable pictures and funny pet pictures, then share one of your own precious one. 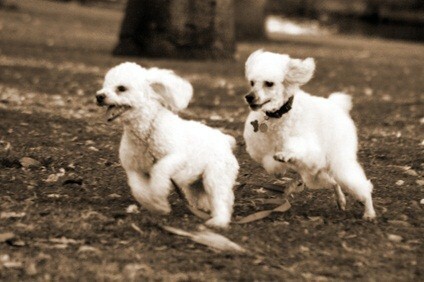 Thanks for sharing, and stop back often to see new pictures of our beloved poodle friends. Have A Cute Picture Of Your Poodle? 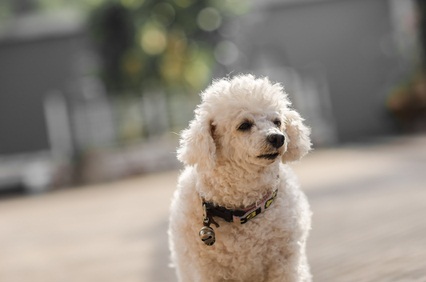 Share Your Poodle's Picture With The World!